SPRING has officially sprung so it is only appropriate that this week should see the arrival of a fresh batch of new music to feast your ears upon. It has been a particularly strong week for guitar music but we have also seen the release of some electronic gems, including the long-awaited return of Hot Chip who have unveiled a six-minute dance odyssey. Check out our rundown of the best new tracks below. The latest instalment in a series of impeccable tracks that have seized the attention of fans and musos alike, the band have once again mastered their manipulation of light and shade in this stunning offering called ‘Grenade’. Amber Wilson’s cool, whispered vocal is as arresting and emotive as ever; her deeply affecting lyrics delivered against a meticulously crafted arrangement that oscillates between minimalist electronica and more commanding choruses. Rooted in its stunning, hard-hitting lyricism, it’s a show of personal strength and defiance as Wilson emerges from the ashes of a failed relationship. A band who reach into your soul with the deftest of touches, it’s another deeply moving track that evokes a sense of longing and empowerment all at once. 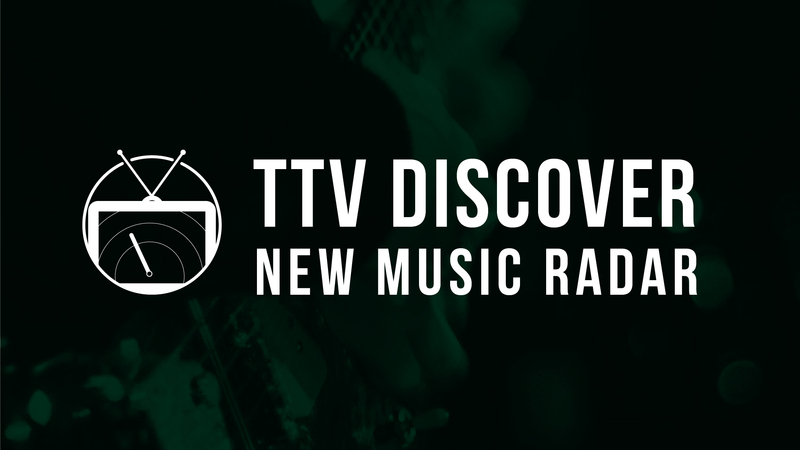 A track we were delighted to premiere here on TTV this week, ‘Infidelity is Key’ is a dark menace of a song. With nods to The Cramps and the psychedelic palette of 80s Matchbox B-line Disaster, there’s a gothic, uneasy atmosphere that emanates from its deep, galloping basslines and scratching guitars. And with its feverish vocals that multiply on the chorus, almost tortured and theatrical in their delivery, you are left with an addictive hook that buries deep into your subconscious. It’s a strong introduction that indicates an intriguing future ahead. Known to gig in and around the local circuit on a regular basis, Weekend Debt have now opened their account for 2019 with the instantly addictive sounds of ‘Tour De France’. Brilliantly punchy in execution and more refined in its approach, their first track in nearly two years marks a significant step up in all the right ways as they look to make their mark once and for all. Boasting bright and infectious guitar lines and driven by an upbeat, bouncy rhythm section, it’s a song that will see crowds dance away with youthful abandon. A tightly packaged slice of modern indie-rock with a Scottish twang that sees them follow in the footsteps of fellow countrymen The View, Weekend Debt may not be redefining the genre but there’s a propensity for song craft here that cannot go unnoticed. Delivering the kind of muscular alt-rock sound that vastly outweighs their status as a two-piece, Bathgate duo Pyro are back with brand new track ‘Tear Me Down’. Arriving after last year’s trio of well-received singles, this latest offering sees the prodigiously talented outfit kick things up a notch after a lengthy period in the studio spent honing in on their sound and maximising their production value. And it seems that the hard work has paid off in spades. ‘Tear Me Down’ emanates confidence from the very get-go, displaying the kind of drive and ambition that could soon thrust them into the affections of the nation’s music scene en masse. Delving back into their familiar alt-rock sound the track sees them follow in the footsteps of fellow countrymen and verified arena-rockers Twin Atlantic, Biffy Clyro and more. Inherently Scottish in execution in terms of its emotional resonance and deep-rooted sincerity, the more thoughtful production bolsters their muscular sound and lends even greater potency to their guitar and drums set-up. Impassioned in delivery and driven by a formidable rhythm section, it’s immediately clear why the band have had no qualms about remaining as a duo. Wearing their arena-sized ambitions on their sleeves, it’s a massive return from one of the country’s most talented young outfits. Ahead of last night’s headline show at The Hug & Pint, Medicine Men unveiled the appropriately titled ‘Back on Board’. Featuring yet another formidable vocal display from frontman Ian McKinnon, his chant “there’s a devil on my shoulder” is met with a chiming melody and groove. A glimmering slice of what Scottish bands should be about right now, the band’s return is marked by more quality storytelling , high end production and catchy credentials. It goes without saying that ‘Back On Board’ is an example of Medicine Men’s best work to date. Currently touring the UK with Glasgow’s very own LUCIA, whenyoung are rapidly cultivating a dedicated fanbase all over the UK and beyond thanks to their infectious indie tunes and equally compelling live shows. With their debut album set to arrive next month, the Irish trio have shared a new preview track called ‘Future’ and it’s another instantly addictive upbeat anthem to add to their fiercely impressive repertoire. A band who capture the essence of what it is to be a young person navigating their way through these trying times on both ends of the scale, from the uncertainty and self-directed misdirection to the experience at its most euphoric, ‘Future’ explores exactly what its title suggests through more bright indie hooks, sweet vocals and singalong choruses. Days after the release of their sold-out show at Glasgow’s SWG3, Hot Chip have marked their return with the release of their first new track since 2015. A sprawling, pulsing six-minute odyssey that finds them utterly rejuvenated, ‘Hungry Child’ is one for the dance music aficionados. Making use of many hallowed tropes such as its gospel vocal harmonies, piano stabs and brooding bassline, it’s a song full of pathos and playfulness. It’s the return of Hot Chip’s utterly singular approach to their craft that’s particularly pleasing to the ear though as they channel the underlying sorrow into another massive dancefloor filler. Following the release of the deliriously infectious ‘King James’ last month, Anderson Paak is back with a sultry new offering called ‘Make It Better’. Featuring tender backing vocals from Smokey Robinson, the track finds .Paak reflecting on the ups and downs of a relationship as he strives to make things better. Steeped in romance and allure, there’s a throwback soulful groove to the song that’s fleshed out even further by the addition of cinematic strings, punchy bass and slick guitars. It’s another impeccable preview of what’s to come from the upcoming album.